The Palm Beach Post has made the audacious decision to highlight the silent epidemic of opioid overdoses in its newest project titled “Generation Heroin.” As part of the project, the paper profiled all 216 people who died of an opioid overdose in its coverage area last year. The goal was to draw attention to the magnitude of the addiction epidemic in a way statistic simply could not do. The “Generation Heroin” project rolled out last month. The project was motivated by Palm Beach Post reporters’ who discovered that many addicts overdose in sober homes where they had gone to recover. When reporters dug further, they discovered the problem was far worse than they ever imagined. Shockingly, in 2015, more people died in Palm Beach County from heroin, fentanyl, or illicit morphine overdoses than in car accidents. In so many news stories, the focus is on the statistics behind the epidemic. Occasionally, there are a few profiles of victims from families who agreed to participate. However, the scarcity of these profiles means more people believe it will never happen to them or someone they love. This could not be further from the truth. The Palm Beach Post took a more direct approach. The reporters and editors decided to profile all 216 victims who had died from overdoses, regardless of whether they received permission from families. The reporters and editors divided up all the names and made the difficult calls to family members to alert them of the upcoming story. At first, they dreaded the reaction. Fortunately, most of the victim’s families responded more positively than negatively. Another couple dozen was neutral about the report. Ten asked The Post to pull their family members out of the project, some threatening to sue. Family members of some 70 victims were unreachable, but The Post reconstructed stories from police and autopsy reports. When contacting the families, the reporters utilized a standard script before starting the calls. Palm Beach Post: Not Asking For Permission! Although the Post was considerate in calling family members, they were not asking for permission. They felt an obligation to print the names of all victims even if family members opposed it. The decision to post all the victims regardless of permission brings up the issue of journalistic ethics. While the Post can legally publish names and photos of these victims; it could be deemed unethical. In the end, the story fulfills one of the main components of the Society of Professional Journalists Code of Ethics. The goal of the story was to minimize harm. While some would argue the story could pose harm to the family of victims, it minimizes harm on a grander scale because it raises awareness of the gravity of the addiction epidemic. While the post did name the victims, the paper also highlighted what communities are doing to tackle opioid addiction. It also made suggestions on what else should occur, and what Palm Beach County and Florida could be doing to improve these devastating numbers. The stories in the project are heartbreaking and chilling. One addict admits that after his friend had overdosed on heroin, he decided to use the rest of his friend’s heroin first and then call 911. The friend ended up dying. Many family members were not ready to discuss their loved ones but sent the Post moving written responses. Hearing the stories and devastation from family members were both traumatic for the families and the reporters. Not long after the project published, a Palm Beach County commissioner pledged to push for reforms to slow the epidemic. The Post is hoping for a greater response in the weeks and months ahead. 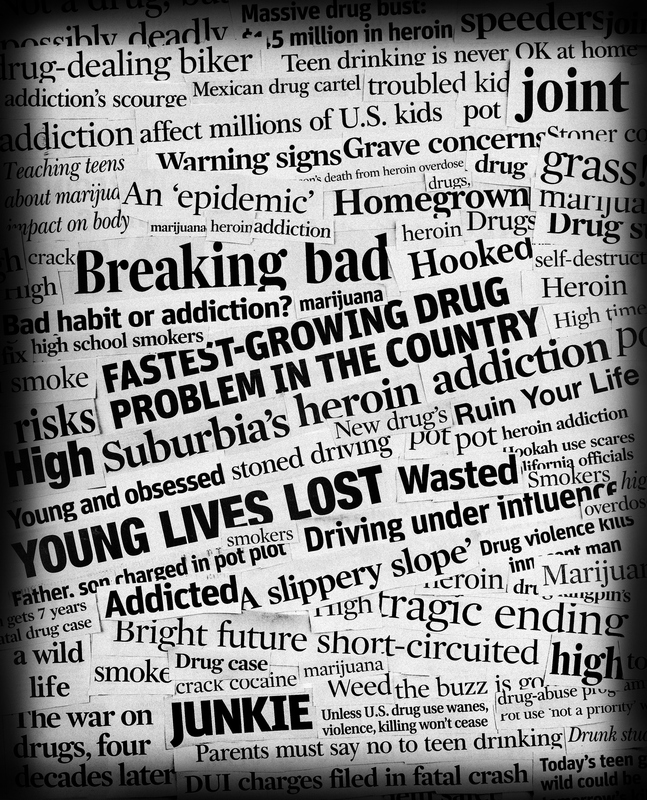 How do you feel about the “Generation Heroin” Project? Do you think the Post should have received permission from the families of all victims published? What are your views on the ethics of the project? Regardless of the reaction, the intention of the project was to raise awareness of how deadly the opioid epidemic is right now. If you or someone you love is struggling, please call toll-free now. We want to help. Do not become another statistic. Call today.